Volkswagen Commercial Vehicles knows that when it comes to vans, bigger is usually better. However, with parking spaces becoming harder to find and fuel prices on the up once more, the need for an ultra-compact solution to urban deliveries is greater than ever. to cater for this exciting new market is the all-new Caddy Maxi Mini. At just 2.4 m long, the latest addition to the Caddy range is the perfect urban van for modern businesses. 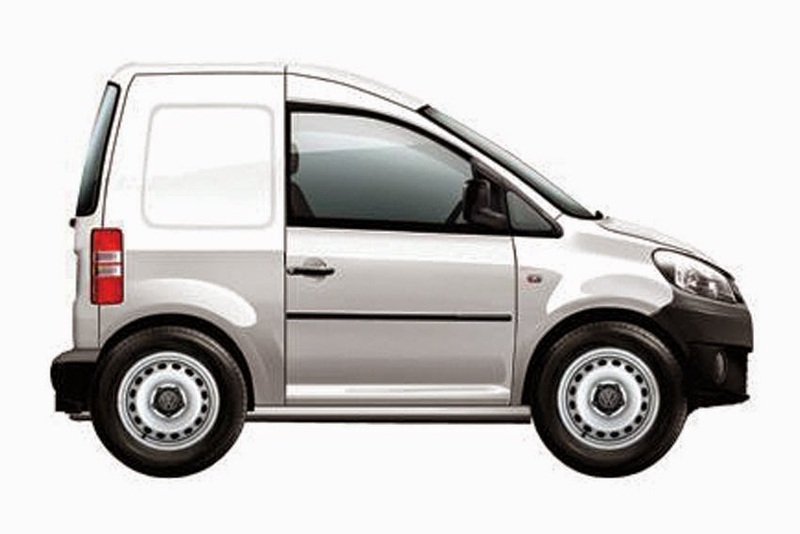 Aimed at companies who want the legendary reliability and quality of a Volkswagen van, but don't require much load space, the Caddy Maxi Mini can be parked at right angles to the kerb and has a turning circle of just 4 m - a figure many bicycles struggle to match. "This is the perfect van for the modern office. Let's say Kevin from Accounts wants to pop out and get a sandwich for lunch or maybe collect his tie from the dry cleaners, the Caddy Maxi Mini is the perfect vehicle. Buyers aren't paying for space they don't need," said Dr. Avin A'laf, Head of New Product Development, Volkswagen Commercial Vehicles UK.